This webinar was delivered on May 30 2017 by Andrea Carey, Sport for Life Society. This webinar introduced participants to the concept of Inclusive Physical Literacy and how it ties into the definition of Physical Literacy. It also explored the facets of offering inclusive programming, and how organizations need to intentionally plan for this to happen. The webinar also covered how the organizational structure is key for offering a supportive and welcoming environment for persons with a disability. 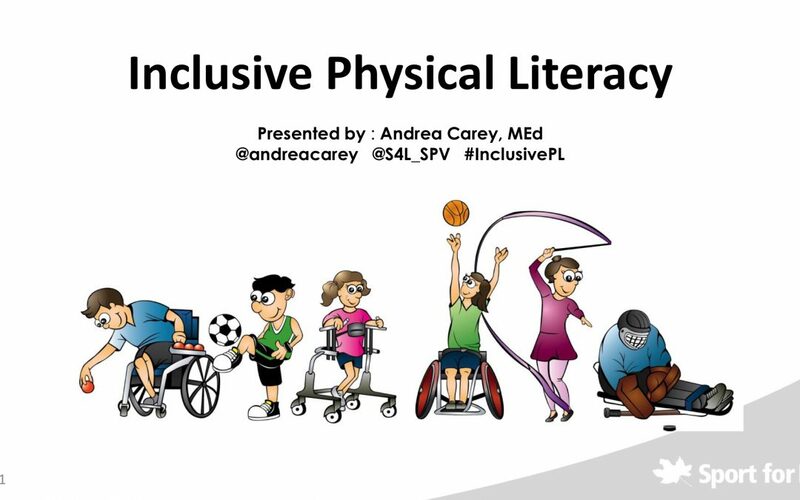 Click HERE to download the Inclusive Physical Literacy Webinar slides. 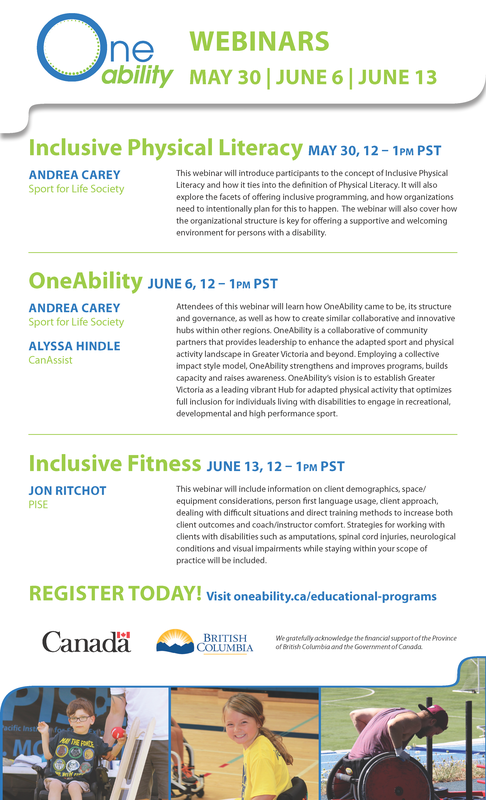 Click HERE to view the Inclusive Physical Literacy Webinar. Victoria Vital Signs 2017 – Belonging or Barriers?